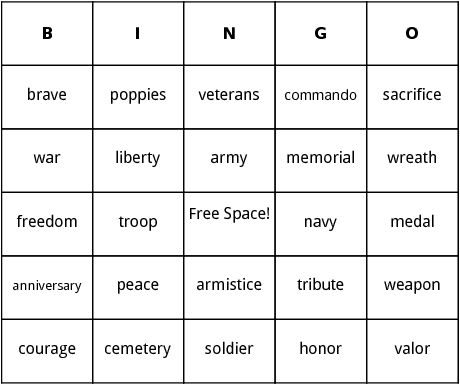 This Veterans Day bingo card is aimed for educational and family events. Scrambled Words include "troop", "sacrifice" and "memorial". You can also add more Veterans Day related terms to the word list.